Shocked by a five-month arson spree that left rural Virginia reeling, Washington Post reporter Monica Hesse drove down to Accomack County to cover the trial of Charlie Smith, who pled guilty to sixty-seven counts of arson. But Charlie wasn't lighting fires alone: he had an accomplice, his girlfriend Tonya Bundick. Through her depiction of the dangerous shift that happened in their passionate relationship, Hesse brilliantly brings to life the once-thriving coastal community and its distressed inhabitants, who had already been decimated by a punishing economy before they were terrified by a string of fires they could not explain. 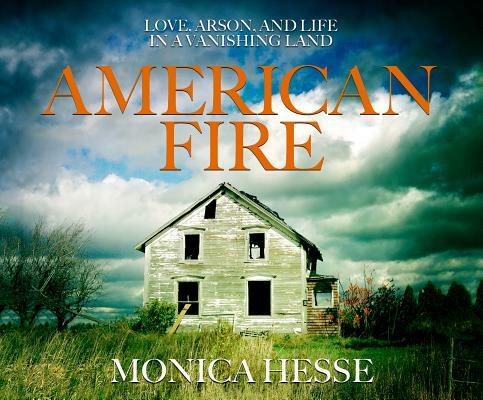 Incorporating this drama into the long-overlooked history of arson in the United States, American Fire re-creates the anguished nights that this quiet county spent lit up in flames, mesmerizingly evoking a microcosm of rural America - a land half gutted before the fires even began.